An audio compressor is a specialized amplifier that reduces the gap between the loudest part (peak) and quietest part of a signal. The peak-to-average proportion of an audio signal (the difference in volume between the peak level and average level) is called the dynamic range. A compressor reduces dynamic range. For example, the dynamic range of a guitar is roughly 20dB. A compressor has the ability to reduce the difference in order for the quiet notes to be louder and the peak notes to be quieter, in effect producing a more even-sounding signal. This can also be boosted in order to raise the average loudness of the signal. Why Would I Want a Compression Pedal? Compression is especially useful for helping a quiet, finger-picked part be heard in a mix, or making sure two-handed tapping, legato-style hammer-ons and pull-offs, and artificial or harp harmonics don’t disappear in between hard strumming, on both electric and acoustic guitar. When playing staccato chords, a compressor is ideal for getting that classic “squishy” funk guitar tone. For rock or blues leads, a compressor lets you get more sustain, without resorting to using so much distortion that you lose articulation. Bassists, too, can greatly benefit from using a compressor, especially since lower frequencies tend to suffer from greater amplitude spikes—particularly noticeable when switching back and forth between slapping and fingerstyle. A compressor on a bass guitar is also great for extra sustain when playing those long, even whole notes at slower tempos. A compressor can also act as a clean boost, to drive the front of your amp harder. If you currently have a clean boost on your board, or are considering one, consider trying out a compressor: With the level knob turned up and the sustain knob turned down, a compressor is simply a boost pedal, but a compressor also gives you the option of adding sustain during a solo, or helping a fingerpicked part stand out, as well. Ratio: The ratio controls the amount of dynamic range reduction the compressor is initiating. For example, a ratio of 4:1 means that it takes an increase of 4dB to the input signal in order to raise the output of the compressor by 1dB. 4:1, 8:1, 12:1, and 20:1 are common preset ratios, with anything over 8:1 widely considered to be the line at which a compressor becomes a limiter. Threshold: The threshold is the level of signal required to “open” the compressor. In other words, you would set the threshold to a certain decibel level and then only the parts of the incoming signal that crossed that threshold would be affected. Any part of the signal below that threshold would not be affected by the compressor, but any signal above it would be “compressed” down to the chosen ratio. Knee: The knee is the exact moment the compressor begins reducing gain. “Hard Knee” is a sudden shift from unaffected to compressed—there is no transition, just instant compression the moment the threshold is crossed. “Soft Knee” broadens the range of the threshold and provides a less noticeable shift into compression. Attack Time: This refers to the amount of time that elapses between the signal crossing the threshold and the compressor kicking in. Measured in milliseconds, typical attack times range from 1ms to more than 100ms. This has an effect on the overall perceived brightness of the tone. The front-end transient information conveys brightness character. Using fast attack times immediately reduces the transient and can result in a duller sound, especially with percussive sounds. Release Time: This is the amount of time the compressor uses to return to unity gain once the signal falls below the threshold. Typical release times range from 5ms to more than 5 seconds. The release time can have a pretty major effect on the sound. Very short release times can distort low frequencies. Very long release times can result in “pumping”—a sudden gain reduction that is usually unwanted—or “breathing”—a slow return to unity level with a noticeable increase in the noise floor. While compressors are commonly used in the guitar world to increase sustain, that coveted sonic quality is not usually the primary intended purpose of a compressor pedal. The job of a compressor is to keep the output level more-or-less the same even while the input level is decreasing. This is what causes the compressor to increase sustain. A compressor reduces the gap between the softest note and the loudest note. It does this by reducing the output level of the loudest notes. When we adjust the volume of an amplifier, we do so with the loudest notes in mind. When those loudest notes are compressed down to a level closer to average, some sort of gain make-up is required in order to retain the original level. This is usually done with the Output (or Volume) control of the compressor. Because the compressor reduces the loudest notes in volume, it's going to sound like the quietest notes, as well as the noise floor, are being amplified. The quieter parts aren’t actually amplified, but since the levels are brought closer together and the quiet notes aren’t as far away from the loud notes, the background noise at the lowest levels will also be closer to the loudest notes, therefore standing out more. This concept is not completely understood by people who have little or no experience with compressors, and, often, this natural artifact of the compressor is mistaken for the compressor being “noisy.” If a compressor sounds noisy, often times it is the result of noise-induced somewhere in the signal chain that is unnoticeable until the signal is compressed. In my experience, this is usually caused by an overdrive or fuzz pedal, bad guitar wiring, or bad patch cables. So, do you need a compressor? If you’ve never tried one, a compressor may be just the thing you need to take your guitar rig to the next level. But keep this in mind: Compression can be subtle and transparent, like a clean boost, or it can be conspicuous if used as an effect. Because compression affects your guitar’s dynamics, too much can feel unnatural—you pick softly and it comes out louder; you strum hard and it comes out softer. Too much compression can also bring out string noise and single-coil hum. 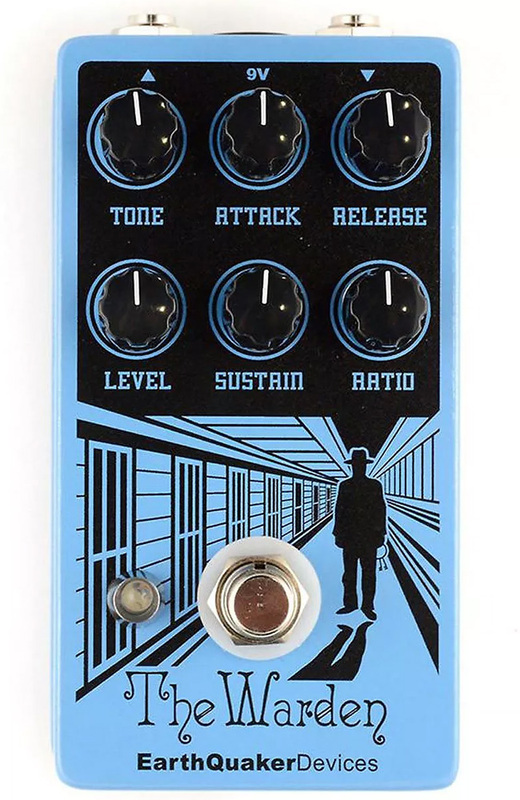 Think of it like reverb: Used sparingly, it makes a lifeless, sterile guitar tone sound more musical, but using too much sounds like you’re in a wet cave and isn’t really useful for most genres. While maxing out the compression is desirable for some styles, if you’re new to compressors, start easy, take your time, and remember—don’t be afraid to experiment. Your journey starts here.